CHICAGO -- Put a job that requires hard work in front of Ryan Kesler and the Vancouver Canucks forward won't shy away from it. 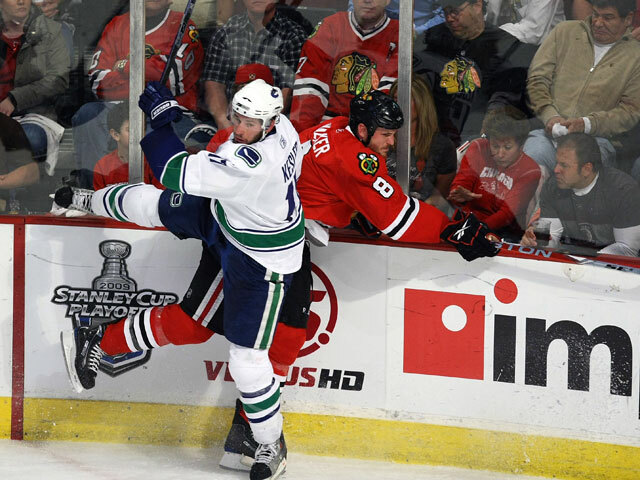 "We can't let them get their transition game get started," Kesler said of watching the Chicago Blackhawks rally in each of the first two games and earn a 1-1 split of the Western Conference Semifinals at Vancouver. "We need 60 minutes of hard work." 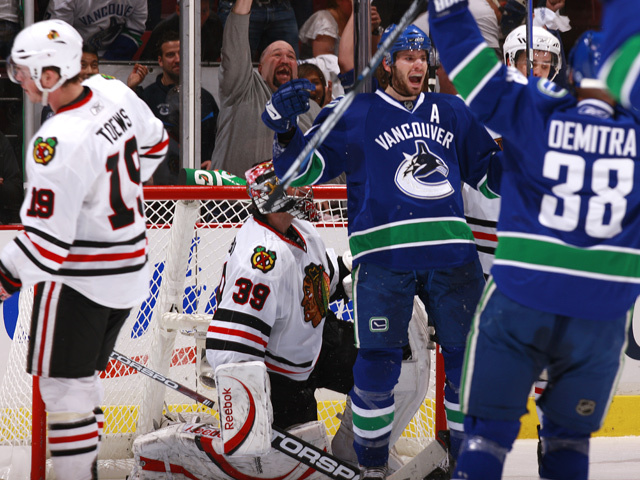 Kesler set up Mason Raymond for the game's first goal and with a solid two-way effort for 60 minutes helped the Canucks gain a 3-1 victory in Game 3 to give Vancouver a 2-1 edge in the series. Canucks coach Alain Vigneault stood in front of reporters in the first round of the playoffs talking about how difficult a decision it was to break up his shutdown defensive unit that centered around center Ryan Kesler and winger Alex Burrows. "They were difference makers for us," Vigneault explained. "They'd stop the best lines in the game ... and still manage to score some important goals as well. I didn't want to break them up, but ..."
After Mats Sundin joined the Canucks as a free agent in January and struggled at first, Vigneault thought long and hard about how he could get two strong scoring lines going in order to get his team back in the playoff race. "No, I didn't just wake up on the wrong side of my bed one day and say I was going to move Ryan to right wing with Sundin and Pavol Demitra and also move Alex to the line with Daniel and Henrik Sedin," Vigneault said back on Feb. 10, the morning before he put Burrows on a line with the twins for the first time. "One-line teams don't win in the NHL, so I had to try something. 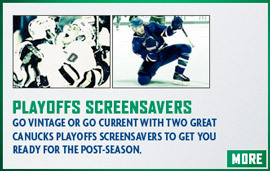 And, as it turned out, two valuable players like Kesler and Burrows became even more valuable to the team." 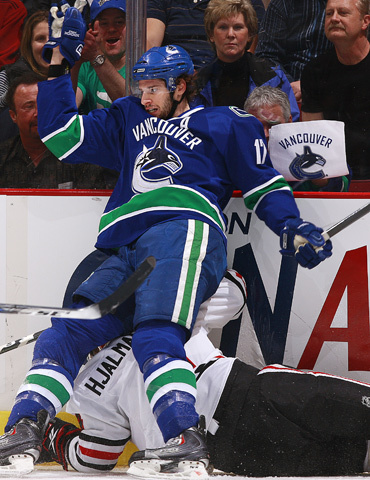 "When I was in St. Louis, 'Kes' was always hard to play against," Canucks center Ryan Johnson recalledc. "It's those intangibles he brings to the rink. Drive. Determination. A hard as nails edge to his game and, of course, his work ethic that is so great." 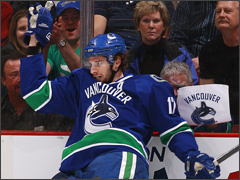 But those first impressions after Kesler turned pro were decidedly different -- he had just 3 goals and 8 assists in 33 games for the Manitoba Moose and another 2 goals and 3 assists for the Canucks as a rookie in the 2003-04 season. A second look proved necessary for both Kesler and Burrows this season as Ryan became a point-a-game player with 34 points, including 17 goals, in his final 34 games -- not to mention being nominated as one of the final three candidates for the Selke Award as the top defensive forward. The turning point to Kesler's career came in June of 2007, when Bobby Clarke, then the GM of the Philadelphia Flyers, shocked the rest of the league by signing Kesler to a one-year, $1.75 million restricted free-agent offer sheet. The total seemed outrageous for a guy who had just 2, 10 and 6 goals in his first three seasons with the Canucks. 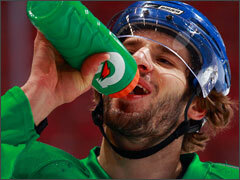 "Bobby Clarke did me a favor," Kesler said. "That contract he signed me to motivated me as a person and player. 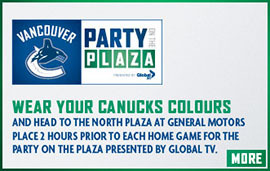 I was glad the Canucks matched the offer sheet. It made me challenged myself to be a better player in Vancouver ... and that's just what I needed." 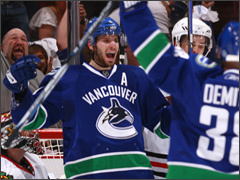 Kesler responded with 21 goals in 2007-08 and then had career-highs with 26 goals and 59 points this season. "His speed makes him very, very dangerous, that, plus he has the hands to get the puck to his linemates quickly and then his competitive edge takes over," Vigneault raved. "Since I got here," Sundin said, "Ryan Kesler has been our best forward." "He proved himself. 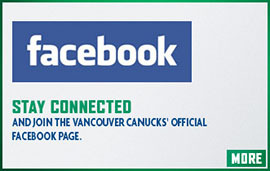 Now, I could see him scoring 30 goals a year for several years," Burrows said. "One thing, for sure, no matter who he plays with his plus-minus will always be in the plus because he works so hard." One more testimonial -- and perhaps the most telling. 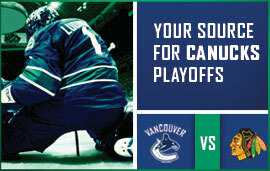 The possibility exists that Vancouver could play Anaheim in the Western Conference Finals. That would put Kesler against his former Manitoba coach Randy Carlyle, who has made quite the name for himself as coach of the Ducks. "With Ryan Kesler, I think there was a label that he wouldn't be any more than 'X,' " Carlyle said a while back. "It was my belief that he could be X, Y and Z because he was much more of a complete player than he was projected to be. "He finds a way to elevate his game." Voila! Power forward. Great wheels. And not just X, but X, Y and Z as a complete package. 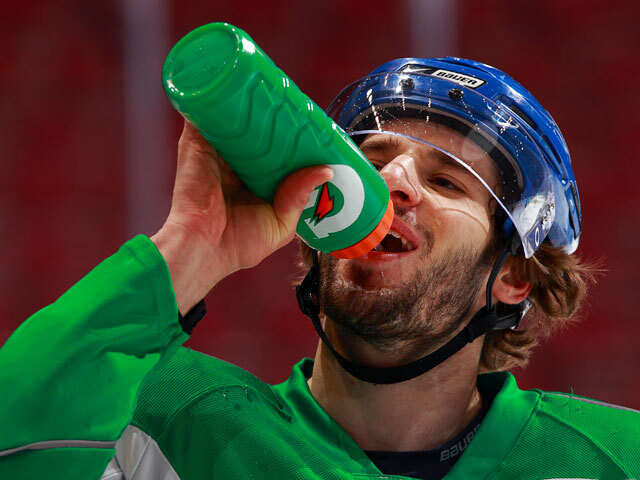 Hard work has never been a problem for Kesler, the Livonia, Michigan, native, who brings a Midwestern work ethic that was nurtured at home by his dad, Mike, a former Colorado College forward. Mike Kesler coaches a Junior B hockey when he's not working as a project manager for Blue Cross/Blue Shield. Linda Kesler, Ryan's mom, owns her own shop in Detroit. That's where the hard work came from. Ryan's work ethic then grew with the U.S. National Development Program in Ann Arbor, then in one year at Ohio State University before being selected by the Canucks with the 23rd pick of the 2003 Entry Draft. The ABC's of Ryan Kesler's development started when he was six and he attended Mike's hockey school in Livonia each summer from then until he was 17. "I'd be on the ice for three hours a day during the hockey school and the first hour was power skating," says Kesler, who started skating at age four. "In the winter, we had a backyard rink, so it was skating, skating and more skating. My dad helped me fine-tune it." But no player, not even Wayne Gretzky or Sidney Crosby has had an obstacle to overcome to make him stronger as a person to get to the NHL For Kesler, it came when he was 13-14. "I got cut from every Triple A team I tried out for," Ryan admitted. "Luckily, my dad, who was coaching a bantam team in Livonia, gave me a chance to play for him. It was against guys who were at least a year older than me. It was tough, but playing against those guys made me tougher." The U.S. Development Program and Ohio State were the next big steps. But Kesler's biggest confidence builder in his young career came in 2002, when Ryan helped the U.S. World Junior team win the told medal in Helsinki, Finland, as Kesler scored the tying goal against Canada and was chosen the tournament's Most Valuable Player. Ryan Kesler had only one assist in Vancouver's four-game sweep over St. Louis in the first round of the playoffs. 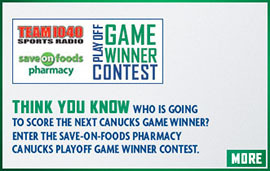 Now, he's had one goal in the Canucks win in Game 1 and in addition to contributing a key assist in Game 3, the 6-2, 205-pounder put the pow back into his power forward game with three shots, three hits, one blocked shot in a solid 22 minutes, 1 second of action Tuesday night.